Meals on Wheels has had a place in the hearts and homes of Australians for more than 60 years. We deliver healthy meals to clients' homes to not only ensure their nutritional requirements are being met, but to provide regular social contact and a friendly check to see all is well. Every day a friendly smile, a chat about the weather, a nutritious meal and knowing someone will drop by to say hello, changes the lives of many Australians and it’s not just the clients who value this contact, ask any of the 15,000 Queensland volunteers and they will tell you reaching out and making a difference in somebody's day, makes their day. Independence is something we all value and to have that taken away through not being able to go to the shops for groceries or to cook regular meals, should not be an obstacle to autonomy. While meals can be delivered to suit each client’s specific needs, the not-for-profit service is more than just a meal. As well as nutritional support, Meals on Wheels volunteers provide important social contact and are able to monitor a client’s well-being, health and safety. Admiring photos of grandchildren, discussing the latest book release may not be part of a job description for a volunteer, but these little things add up to a very big thing in a client’s life – having someone share part of their day. The community spirit that defines Meals on Wheels encompassing respect, care and teamwork is shared between clients, volunteers and staff who keep the service running from cooks to drivers, coordinators, administrators to fundraisers. Meals on Wheels delivers healthy meals to clients’ homes to not only ensure their nutritional requirements are being met, but to provide regular social contact and a friendly check to see that all is well. This enables people to continue to live in their own homes and maintain their freedom and lifestyle. Our meal service caters for people with a wide variety of support needs, not just meals for seniors. Simply, if people are unable to prepare a meal or shop for themselves with ease, we can provide a solution. 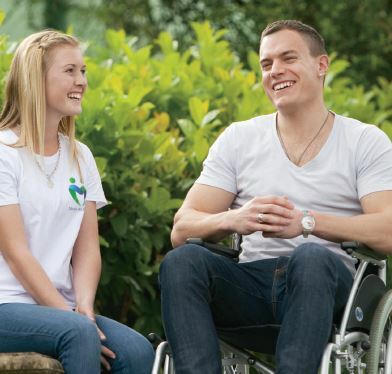 You, or someone you know, may be; in their senior years, recovering after hospitalisation, a major illness or surgery, a person with a disability, a carer, or needing assistance due to a special circumstance. Meals on Wheels provide meals to suit a client’s personal requirements and can accommodate most dietary needs as well as taste preferences. Helping people to stay in their homes, is at the heart of what we do. To make a referral to Meals on Wheels, click here or contact us on 1300 90 97 90.